If you haven't already seen my video on GOING CRUELTY FREE, check it out now! For me, ditching animal tested products was an easy decision, but a slow process. Over the last 6 months I've come to love a few products (and regret a few too)! 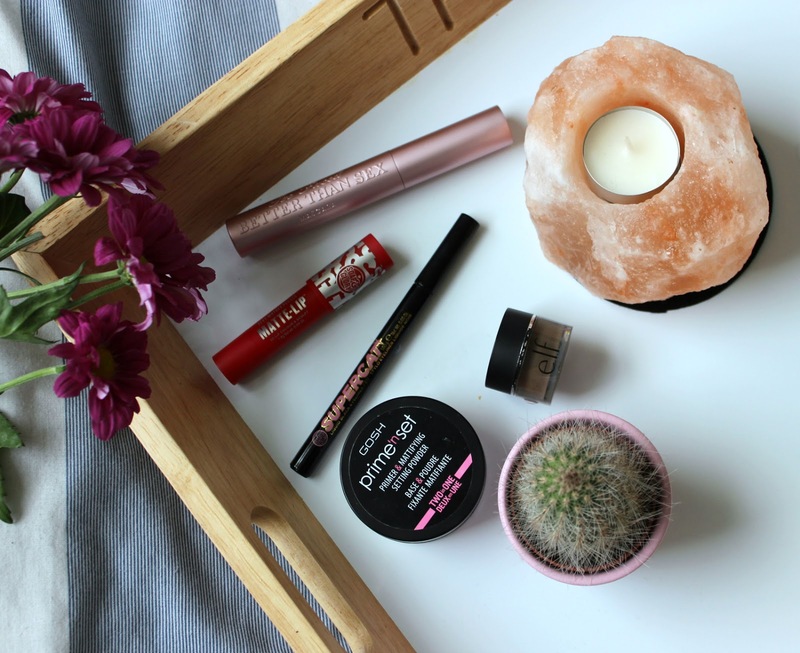 Without further ado, here are my top 5 in cruelty free makeup! Yes, I am late to the party with this one. I picked this baby up from Sephora in Lisbon and I couldn't be more relieved to finally find a wow-worthy cruelty free mascara. I know reviews on this are mixed, and I do admit to a little smudging below my eyes if it's a hot 'n' sweaty day, but I adore the build-able effect my lashes gain from this. You can do subtle everyday or "are those your real lashes?!" with this, and that's all I ask of a mascara. I've got this beauty in Ember Red. The formula of this is gorgeous, it's soft, moisturizing and easy to wear but the colour packs a vibrant punch and it mattes down amazingly. I previously used the Revlon Matte Balms and this is not only better quality, and cheaper, but totally cruelty free! Once again, late to the party! I love the Collection Felt-Tip Liner, but as their cruelty-free status is a little sketchy, I purchased this instead. I'm in love! Long lasting, easy application, smudge-free and cheap! Soap & Glory, if you can't already tell, are my new found loves. Admittedly, this is my first pomade-style brow product. I wanted to see how I got along with creamy formulas before edging towards Anastasia Dip-Brow, but for a cheapie, this is great! I have very thin brow hairs so I pretty much have to draw the whole things on, and this creates a long lasting, natural look. So there you have it, my current favourites in my make-up drawer. I'm tempted to make a demo video using these products, would you be interested in watching that? Also, let me know your favourite cruelty-free beauty bits in the comments! Disclaimer: all above products have been bought with my own money and opinions are my own!